Nelson Ireson December 22, 2010 Comment Now! Why can't Suzuki build cars as well as it does motorcyles? This is a question you'll hear often in the automotive journalist's universe, and it's a fair question. The answer? They do, it's called the Kizashi. 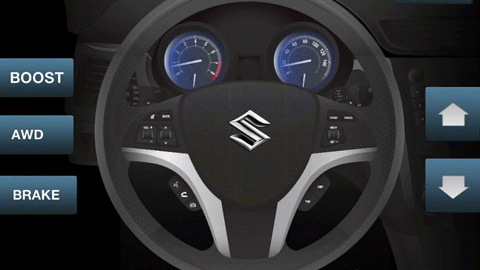 To help get the word out on their slick mid-size sedan, Suzuki today released a free racing game featuring the car. 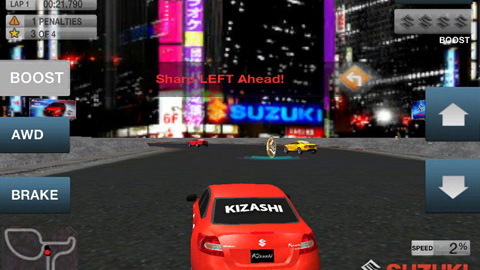 The first commercial racing game to use Brass Monkey remote control technology, Kizashi Ring of Fire (the app's official name) features four tracks, two versions of the Kizashi, and single-player gameplay. The first two tracks are tackled with the 2011 Kizashi SE, while the sportier Kizashi Sport GTS is available for the third and fourth. Other gameplay tweaks include the ability to activate all-wheel drive or "special Suzuki boosts" to improve handling and speed. 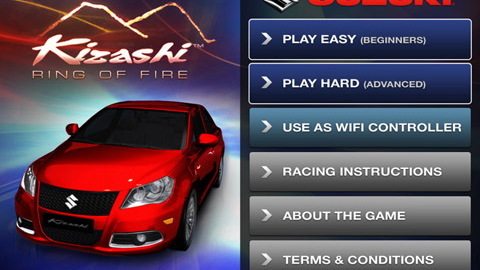 To get the benefit of the Brass Monkey tech, the user can use their iPad or iPhone as a virtual steering wheel over WiFi, connecting to a computer to control the online game. 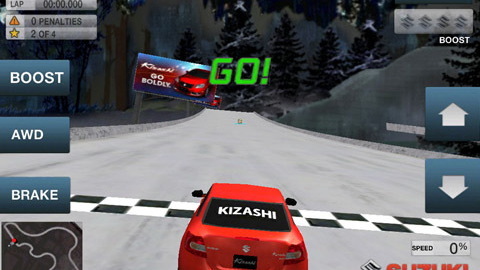 The game's remote control technology maker predictably goes a little over the top in describing just how awesome the experience is: "The Kizashi Ring of Fire is fun on its own, but steering the car with your iPad or iPhone as a controller really makes it an immersive experience. 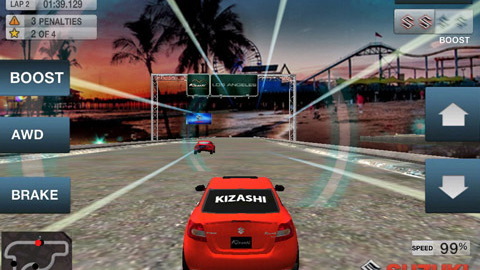 It's almost as if you are driving the actual Kizashi, because the mechanics are very similar to using a real steering wheel," said Chris Allen, president and CTO of Brass Monkey. Sure, except iPads and iPhones aren't round. Still, the app looks interesting, so shake off that negative (or complete lack of) perception of Suzuki and see if it suits you. If you're in the market for a mid-size sedan, the same advice applies. You might just be surprised. We were. You can find the (free) game in the iTunes store.